Gulf Specimen carries sand, sea water, rock, live food and materials to help you maintain your laboratory aquarium. Following are a few of the products available. LIVE SAND — Live sand helps to seed your aquarium with beneficial nitrifying bacteria and kick start your nitrogen cycle. Starting new tanks with live sand can shorten the initial nitrogen cycle when setting up new tanks. Live sand is collected for each specific order. The sand is collected and shipped wet overnight to ensure a healthy population of beneficial bacteria. AF-27 LIVE FISH COLLECTION — Small fish for feeding. May include mosquito fish or sailfin mollies. Customer can not dictate the type or species of fish. The order will include whatever species is most readily available and will not include more rare or hard to collect species. AF-AS-26-B LARGE BAG OF MARINE ALGAE, including whatever species available, especially chosen are green leafy Ulva and Enteromorpha. Excellent food for Sea Urchins and other herbivores. 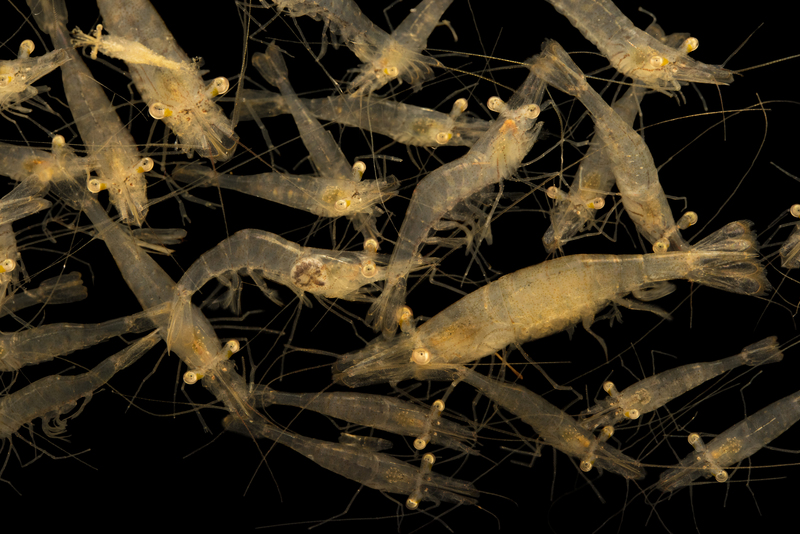 AF-AR-1300 SMALL SHRIMP. Excellent for sea horses and fish. 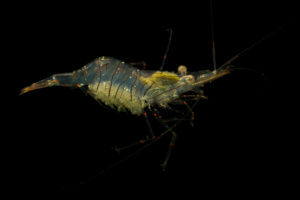 Daggerblade grass shrimp (Palaemonetes pugio) at Gulf Specimen Marine Lab and Aquarium. AF-M-660 OYSTERS, Crassostrea virginica. Collection of live small oyster clusters to be crushed and used for feeding one at a time, while the rest remain in your aquarium live until needed. Excellent food for most marine animals. 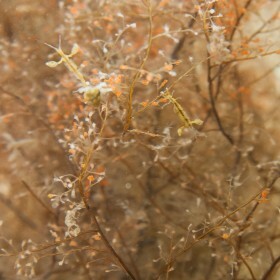 AF-28 SKELETON SHRIMP COLLECTION. Excellent food for spiny boxfish, cowfish, spade fish, sea horses, etc. Availability seasonal and weather dependent.